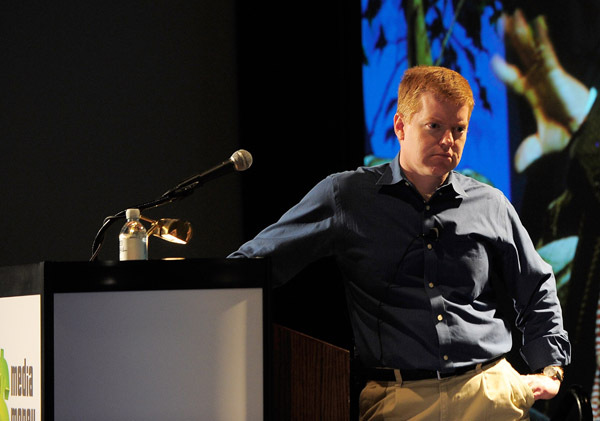 In addition to his activities as a writer, reporter and editor, Chris Morris is also a frequent panel moderator and speaker at major conferences in the consumer electronics and video game industries. SXSW Interactive – Oversaw the 2011 session “Gaming Publishing Evolution from Traditional to Digital Distribution,” with panelists from UbiSoft, GameStop and Sony Computer Entertainment America. In 2014, conceived and moderated the phenomenally popular “Big Brother Is Watching: Tracking Today’s Gamer,” with panelists from Ubisoft and Wargaming. The following year, he oversaw “The Third Age of Gaming: Exploring New Horizons”. And in 2016, he envisioned and ran “Shanghai to Siberia: Finding Gaming’s Next Hotspot”. CES 2011 Super Session: Hollywood Creative Masters – Led a discussion where top content creators discussed how digital media has impacted their work. Panelists included producer and writer Gale Anne Hurd, “Dancing with the Stars” executive producer Conrad Green and “Heroes” creator Tim Kring. CES 2014: Next-Gen Game Consoles: The Only Set Top Box You’ll Ever Need? – Oversaw a panel discussion on the entertainment potential (both gaming and beyond) of the eighth generation of home consoles. CES 2011: Tech You Can Take To The Bank – Speaking engagement at the world’s largest consumer electronics show, focusing on the technology most likely to be mass market hits. Variety Film Marketing Summit – Headed panels on the integration of social media into today’s entertainment landscape and what the traditional entertainment industry can learn from the video game world. GamesBeat@Game Developer Conference 2010 – Led discussion on disruptive innovation in the video game industry with leaders in emerging technologies. Variety Entertainment and Technology Summit – Headed this panel at Digital Hollywood looking at technological entertainment industry trends, including how to turn fans into marketers and the looming threat of privacy issues as Hollywood becomes more dependent on social networks. Ziff Davis Electronic Gaming Summit – Spoke to more than 100 of the most influential leaders in the video game industry about the relationship between publishers and the media – and how to improve the sometimes hostile atmosphere. Microsoft Meltdown – Led discussion with video game leaders including Valve Software’s Gabe Newell and Epic Games’ Mark Rein, about some of the biggest issues facing their industry, including used game sales and digital distribution. Interactive Entertainment Merchants Association Executive Summit – Assembled a panel of well-respected Wall St. analysts to discuss how investors look at the video game industry – and the expectations they have. Want to have Chris at your next event? Drop a line to chris.r.morris (at) gmail (dot) com or contact Chris here and he will be reply within 48 hours to learn more about your needs and your audience – and to discuss ways to help build a presentation that will engage and inform your members and attendees.